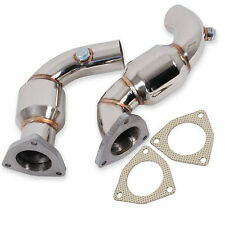 2.25" Bore | Improves Power & Throttle Response! 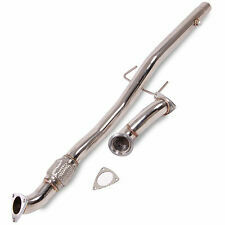 Stainless steel exhaust downpipe for the Audi TT 1.8 turbo or the S3 made between 1999 and 2006. This pipe does not have a catalytic converter inside, it is a straight-through pipe and does not have a resonator so it is as loud as it possibly can be. 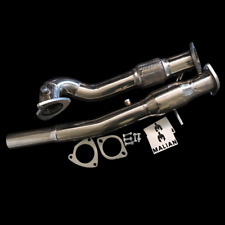 3" Bore For Maximum Gasflow With Built In Resonator! 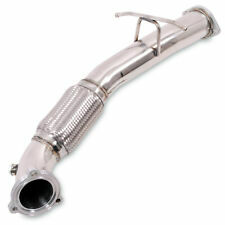 Stainless steel exhaust downpipe for the Audi TT 1.8 turbo or the S3 225 made between 1999 and 2006. With over 15 years’ experience in the automotive and car parts industries, we’ve developed a range of exhaust, chassis, cooling and racing components that promise to fulfil the very limits of your vehicle’s capabilities. 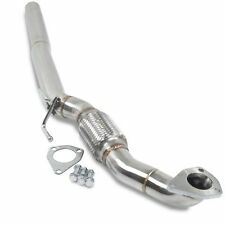 The factory catalytic converter in the downpipe is a major cause of exhaust flow restriction. By replacing the factory downpipe/catalytic converter with our high flow decat downpipe, more power is available when you want it. 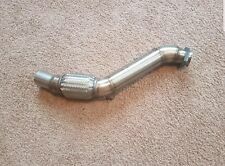 VW GOLF MK4 STAINLESS STEEL EXHAUST DECAT DOWNPIPE. 3" x 2.25" Decat Pipe. 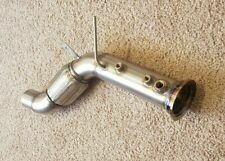 3" Downpipe. Made of High Quality grade stainless steel. Accessories such as brackets and fixings. Excludes scottish highlands, ireland & northern ireland. LEXUS IS200 2.0 MK1 155HP 1999-2005. This downpipe is mirror polished. 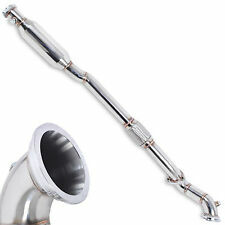 Stainless Steel Exhaust Cat Delete pipe. Mandrel Bent T-304 Stainless Steel. Gain more performance due to more air flow. Two of Gaskets are NOT includes. 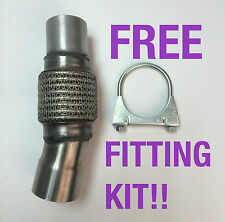 Swap Restrictive DPF For Delete Pipe Adds Instant BHP! 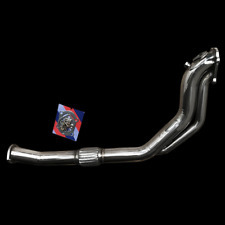 Designed to fit Vauxhall CORSA VXR 1.6L TURBO 2007-2010. This pipe is mirror polished 60mm. Allowing more airflow through the pipe. 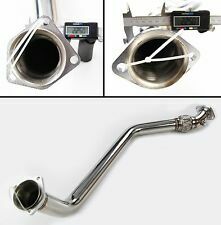 Stainless Steel T-304 Exhaust Pre-Cat Removal Downpipe. Replaces the Pre cat and 2nd Catalytic Converter. NOTE Sport cats and decat pipes may cause EML light to illuminate. A remap or lambda cheater may be required to stop EML light coming on when fitting sport cats/decats. 2005-13 Skoda Octavia (1Z)2.0T RS.